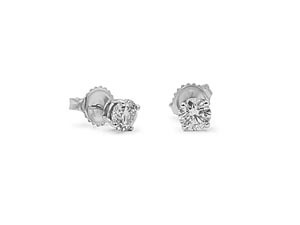 The simple things in life are oftentimes the most elegant, as is the case with our exquisite collection of stud earrings for women. Featuring brilliant diamonds and color gemstones set in your choice of beautiful white or classic yellow gold, our selection of stud earrings is simply stunning. Explore our stud earring collection by scheduling a viewing online or stopping by our Cleveland, Ohio store.